Things have been very busy in my craft room. I'm trying very hard to get all my challenge project completed and post ready through September. I have some many other things I want to do over the summer and would to be ahead of the game. I will be happy yo get the area finished that I'm setting all my lighting and stuff in. Everything has been in boxes for months and on dark day taking pictures is a real chore. 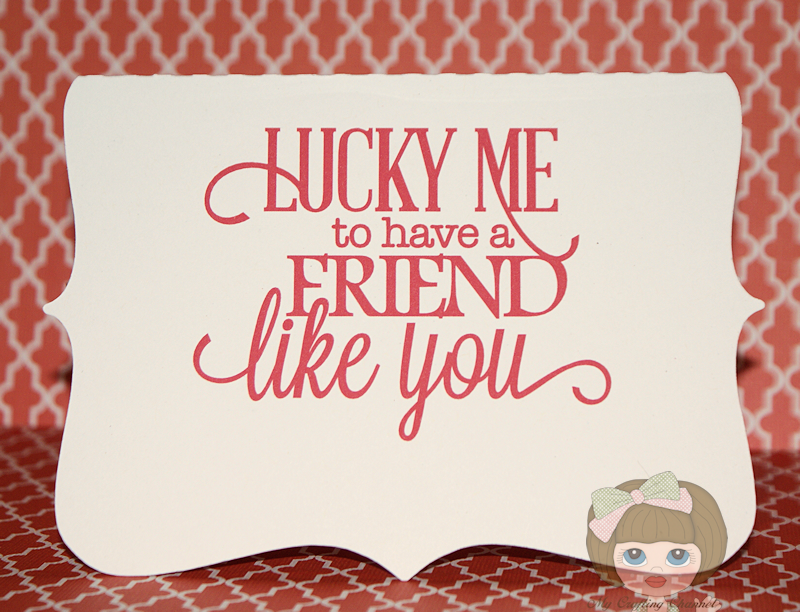 This morning I have this adorable Hello, Lucky Friend Card. This is just THE sweetest card! What a sweet little springtime scene. Ok, if I get caught up for like 2 weeks, I think I'm really something else....SEPTEMBER? Wow - that is amazing! I am totally unimpressed with myself now...lol! I love the thought of thinking in trying to be pro-active in getting ahead with all your projects. I'm like you I try to be ahead just in case of their is some sort of unexpected arises I know that my project is done and I won't be in a bind, you know what I mean... LOL! This is such a pretty card. Love the colors. Such a Beautiful card!! Very Sweet image!! What a super sweet card!! I love the adorable image and the sentiment you used!!! Have a great day. What a beautiful little card! Love the face on the cute little worm. Such a sweet card, is it a print and cut?? The Hello and sentiment on the inside was printed using the Silhouette. Super cute card Nana! 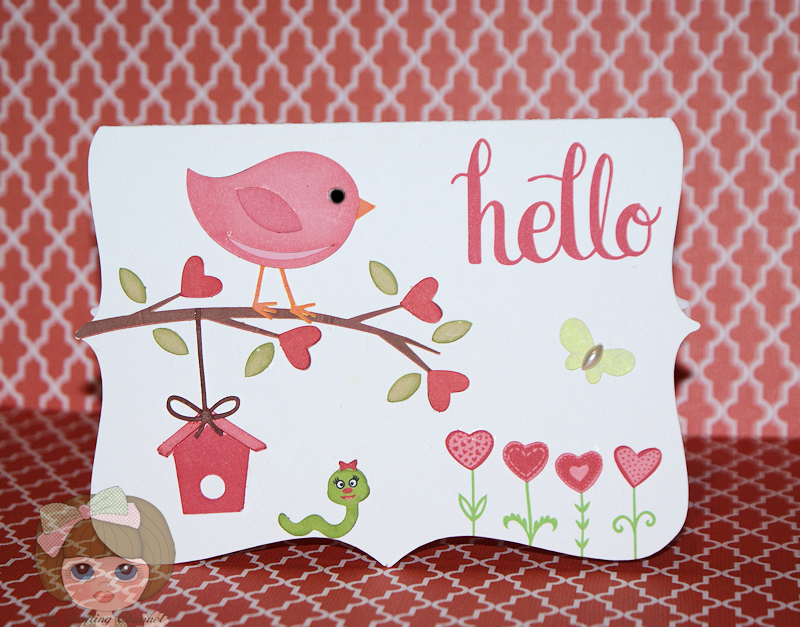 Love the little birdie and the fun scene! I wish I could get more organized with my time and get ahead to. Such great advise! It seems we have been so busy helping my kids with projects that we never seem to have free time unless we leave on vacation! lol! Now we are in the middle of a bathroom, shower room and sauna rebuild! One thing after another it seems! Crazy! It must feel good to be ahead of the game some to! Great job! Oh wow, this is absolutely gorgeous, Nana!! I love all of the details on the front!! It looks amazing!! The inside is fabulous, too!! Someone is going to be lucky to receive this!! Love this card Nana! It's beautiful bright and cheery! Hope you get everything in line and set up just the way you want it to enjoy your summer! I happy you like the banner but it has not changed in almost a year. lol.. It may next year. Everything pre-posted through September??? WOW! That would be awesome! If I can get something posted even an hour before its supposed to go live, I call that a win! Loving your adorable card!! I shape is awesome! !